Coach Patty’s School of Gymnastics is located near Old Town Camarillo at 300 S. Lewis Road, Suite E. The school has programs for recreational artistic gymnastics, preschool gymnastics, competitive team gymnastics for boys and girls, tumbling & trampoline programs for both children and adults. The facility is over 16,000 sq ft and is loaded with state of the art equipment, including 60’ Tumble Trak, trampolines, double Mini Trampoline, high bars, balance beams spring floors, vault systems and a 84 foot fiberglass rod floor for power tumbling and a ring tower. Just for Kids Preschool equipment. 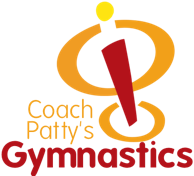 Coach Patty’s also offers fun-filled Gymnastic Birthday Parties, Gymnastic camps, Parents Night out and Open Gymnastics. Open play for ages 6 and up is currently (as of August 2011) on Friday nights from 7-9PM. For more information, visit www.coachpattyusa.com or call 805.383.9460.